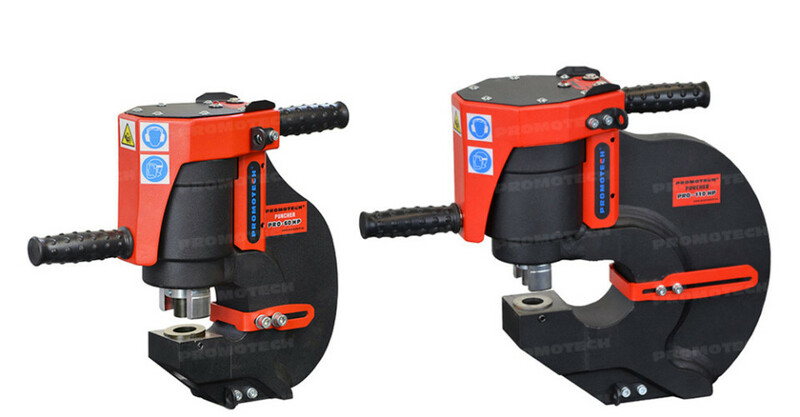 Portable, double-action hydraulic puncher is an easy to handle, modern metal hole punch designed for punching holes with diameter up to 27mm. Intelligent control system and automatic load detection ensure safe and fast metal hole punching. Optional accessories enable customization of work place and improve punching efficiency.